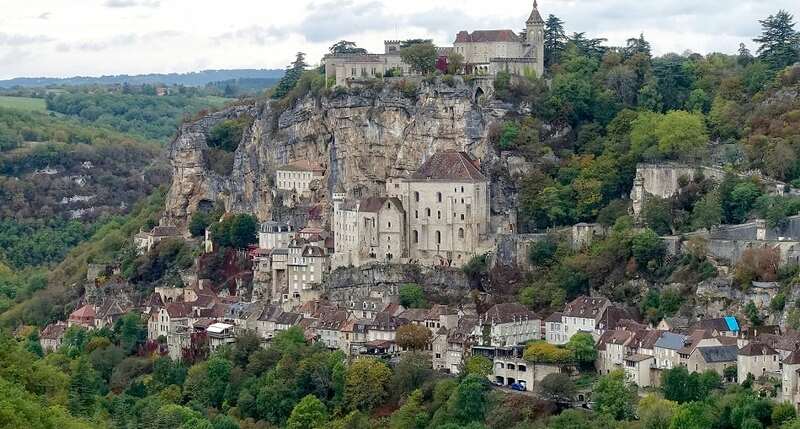 Rocamadour sits on the side of a limestone cliff and overlooks the Alzou canyon in south-central France. It is a pilgrimage site, famous for its sanctuaries and revered for its Black Virgin. It is the second most visited attraction in France.